A recipe post is long overdue. I thought I would share one of my favorite breakfast recipes with you. I grew up eating peaches and toast, but other than that I don't know where it originated from. It could be my grandmother's invention; it could be Dutch; who knows! Bacon is the perfect side. It goes so well with sweet fruity or caramel flavors. but if you're like me and hate smelling like bacon all day, or don't have room in your diet for bacon (especially since you ate 2 1/4 pieces of pie last night), a soft-boiled egg is a nice side of protein. One of this recipe's best features (other than being delicious), is that it's fast and simple! This makes it perfect for all different sorts of breakfast situations. Live by yourself? Having 10 people over early in the morning? (Goodness, why would anyone do that?) It can even work when you're camping! Anyway, I will give you the recipe and you will see how easy it is! 1. Empty both cans of peaches into a saute pan or sauce pot. Mix in cinnamon and nutmeg. Bring to a very small boil over medium heat. Let bubble for 5 minutes, then reduce heat to low. 2. While peaches are cooking, make your toast. A nice wheat or oat bread works best, as it holds up well and the nuttiness of the grains goes very nicely with the peaches. Toast to preferred darkness and apply butter as necessary (avoid eye contact). 3. Serves peaches over toast. Spoon a little extra syrup onto the corners. This will soften them a bit. You don't want the bread swimming in syrup, though, because it gets too soggy! I mean, if you like really sloppy sloppy bread soup, by all means, add more, but I prefer it just slightly softened. For larger quantities, get those giant cans of peaches. They can also be used as doorstops and camera stands. If you have more time, use fresh peaches. Water and sugar will make a nice syrup. Add sliced bananas and use coconut butter on the toast! My mom made this variation last summer when we were breakfasting in the garden. It was the perfect morning. Let me know if you have any questions, because I undoubtedly left something out. My local awesome bakery makes a version of this on baguette, with apricots poached in liquor of some kind, and a layer of brie. Best snack ever. Ooh, that sounds delicious! Nothing better than fruit poached in liquor! The peaches with cinnamon and nutmeg just sounds delicious! This post reminded me of a former camp counselor who put peaches in his milk and then told all his campers that there was a goldfish in his milk. He gulped it down and I was just young enough to believe he had swallowed a fish! My dear cati, thank you for your comment. 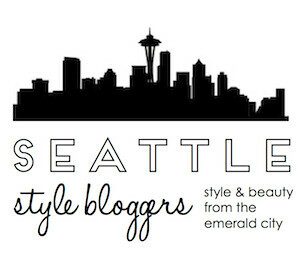 I love you and your blog, so I am following you and adding you to my blogroll inmediately. hmmm yummy. thats the perfect breakfast. You're quite welcome, and your skirt does look like those pants in the first photo. I really like how you paired the brights with the earth tone skirt. I wouldn't have thought of that! mmmmm thanks for making me hungry! :D im gonna use this recepie sometime this week i hope! I love cinnamon and peaches so this sounds like the perfect combination!